As well as some images we shot for GHD Hot Tools, the book features some new work for GHD, ‘The Queen Makers’, which highlights and celebrates the work stylists put into creating beautiful looks. 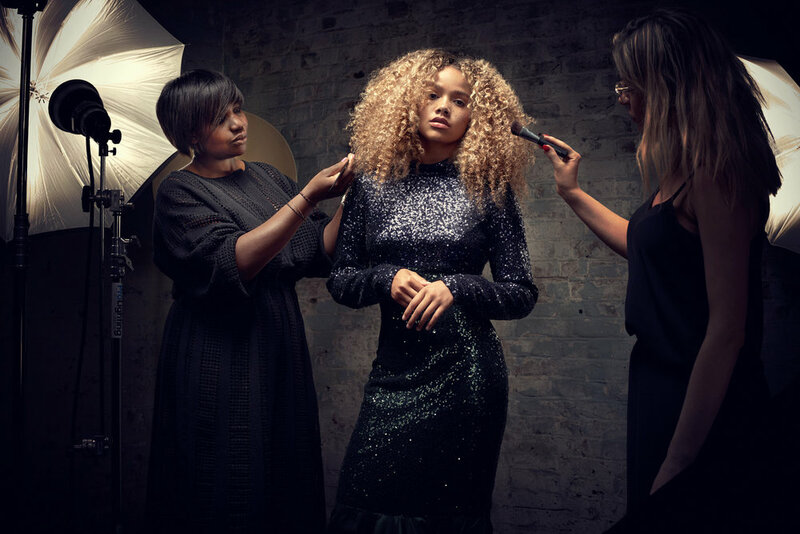 Emphasising this with a ‘BTS’ style shoot, we worked with a team of fantastic stylists including: Jo Robertson, Dafydd Rhys, Amy Sontae, Zoe Irwin, Patrick Wilson, Leighanne Regan, Charlotte Mensah and Luke Benson. Art Direction was by the talented Jess Bottomley, and the shoot was styled by Boo Attwood, Makeup by Claire Evans.